CCAC president Alex Johnson announced plans last week to reduce the maximum hours of adjunct professors, who make up 55 percent of its teaching workforce. In the past, when the faculty union at CCAC surveyed its adjunct professors about their interest in joining the American Federation of Teachers, the response was lukewarm. "There's been very low interest in joining the union," says John Dziak, president of the AFT Local 2067, which includes about 320 full-time members, a number that has been trending downward as full-time employees have been replaced, through attrition, by adjuncts. Adjuncts now make up about 55 percent of CCAC's teaching workforce, he says. Feelings on the subject, however, may change sooner rather than later. 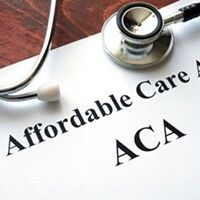 Last week, CCAC president Alex Johnson dropped the news that 400 employees — 200 adjunct professors and 200 temporary part-time workers — will not get the benefit of a provision in the Affordable Care Act that would extend an employer's health insurance coverage to those working at least 30 hours a week. Instead, he said, hours for those workers will be cut effective Dec. 31, ensuring that they fall under the threshold that triggers the mandate, which takes effect in 2014 but relies on next year's figures for holding the companies accountable. The costs to cover the employees through the college's insurance plan, provided by Highmark, would be about $6 million. I know how difficult this situation is, particularly for our longstanding and loyal part-time employees. These CCAC family members have been key to ensuring the vitality of the college’s programs and services. But, I must comply with the law and ensure that the financial situation of the college remains viable. The announcement was described by Jeff Cech, an organizer for the United Steel Workers as "ridiculous" and "insulting." It's one thing not to offer health insurance, he says. It's another for the college to take it away. "These are hard-working people who, without their labor, the universities would not exist," he says. Cech has been key in helping organize adjunct professors at Duquesne University, who voted in September to unionize. The University is challenging the election through the NLRB, saying that as a religious institution, it is exempted from the NLRB's jurisdiction. The case is still pending. 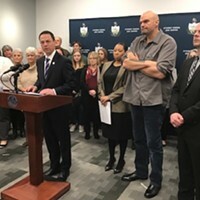 Clint Benjamin, 35, an adjunct professor at both Duquesne and CCAC who teaches English composition, says CCAC's decision means he'll lose about $500-$600 of income a month and continue paying out-of-pocket for catastrophic health insurance. Johnson "likes to refer to us as family. But this is not a very familial thing to do," Benjamin says. He says that while there are no current plans to unionize CCAC as has been done at Duquesne, Johnson's announcement may be the spark to get it done. "You get a disenfranchised group of people that are demoralized and unhappy, and that will probably go through people's minds," he says. Dziak says the benefits of unionizing adjuncts at CCAC were negligible up until a few years ago: Adjuncts and full-time professors had been paid about the same per credit hour, although adjuncts' workloads were limited. Recent pay increases for the full-time faculty, though, have separated the two. Combined now with the issue of the health insurance, employees may find joining the union more attractive. Still, Dziak says he has no plans right now to recruit. Instead, he has been working with full-time faculty to find ways to help adjuncts get around the new rules. "We're looking at ways that we might possibly be able to help adjuncts," especially with scheduling, he says. Could the college, for example, go from a 10-week summer session to a 14-week session? Dziak says he doesn't blame CCAC for its decision. "If they had the money, I think this administration would provide the benefits," he says. "We have to balance the budget." David Hoovler, spokesman for CCAC, says the decision to cut back on hours was an administrative one. He also noted that the status of permanent part-time employees may also be impacted later. 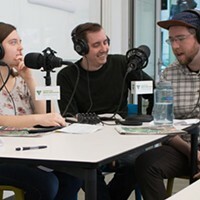 Those employees are organized by the SEIU, and have the option to buy into the college's health insurance at a higher rate than full-time employees. “The announcement Dr. Johnson sent out did not address permanent part-time employees. We are also looking at if there are any steps we need to take with them,” Hoovler says. A local SEIU representative could not be reached for comment Monday. 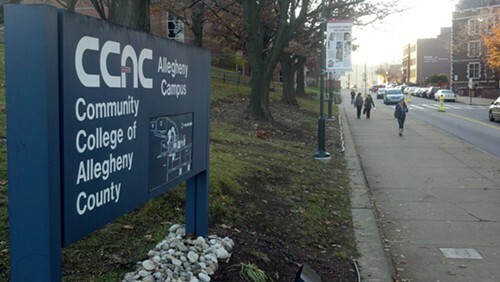 Jake Haulk, president of the Allegheny Institute, says CCAC's decision is in line with how employers have historically handled increased workforce costs. “Companies have long had the policy of offering less than full-time work so they don’t have to pay benefits,” Haulk says. 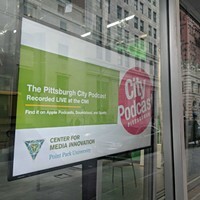 He expects the Pittsburgh area to see others following suit.